An elegant and special location. Weddings at Reid Castle are truly special and memorable events. 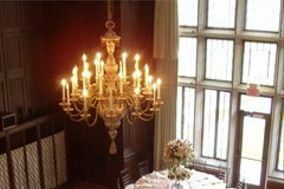 When you have your wedding here, all the Shakesperean décor rooms on the first floor will be yours to use as you wish. Our glorious garden terraces and patio that adorn the castle are also open to you and your guests. As our special guest, we only host one reception per day, which means you and your bridal party can arrive early to get dressed, take some pre-wedding photos, or simply relax for a while before the excitement begins.